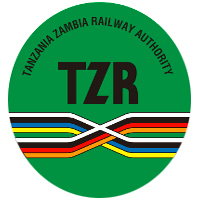 The Tanzania - Zambla Railway Authority (TAZARA) is a statutory institution owned by the two Governments of the United Republic of Tanzania and the Republic of Zambia on a 50/50 shareholding basis. Incorporated by the Acts of Parliament of the two contracting states, the Authority’s registered office is In Dar es Salaam, Tanzania, with two regional administrative centres in Mpika, Zambia and Dar es Salaam. Some positions have fallen vacant in the Tanzania Region, in this regard, applications are invited from suitably qualified Tanzanian applicants, as follows. Provide effective day to day advice and support to Management and employees on Terms and conditions of employment, application of Human resources policies and procedures and all employee relations issues, including disciplinary matters. e) Carry out any other duties assigned by supervisor. g) Not more than 45 years old. interested candidates should write to the address below justifying how they qualify and enclosing an updated curriculum vitae, copies of the relevant certificates, three references and daytime contact details, by 30 April, 2019. TAZARA is an equal opportunity employer, female candidates are encouraged to apply. We regret to advise that only short-listed candidates will be contacted.